First thing in the morning a dive boat goes out from Paa Mul for a single tank dive. I decided to join in and see what Mexican Carribean diving was like. The owner of the dive shop had sworn to me that the diving along the mainland coast was better than on Cozumel. 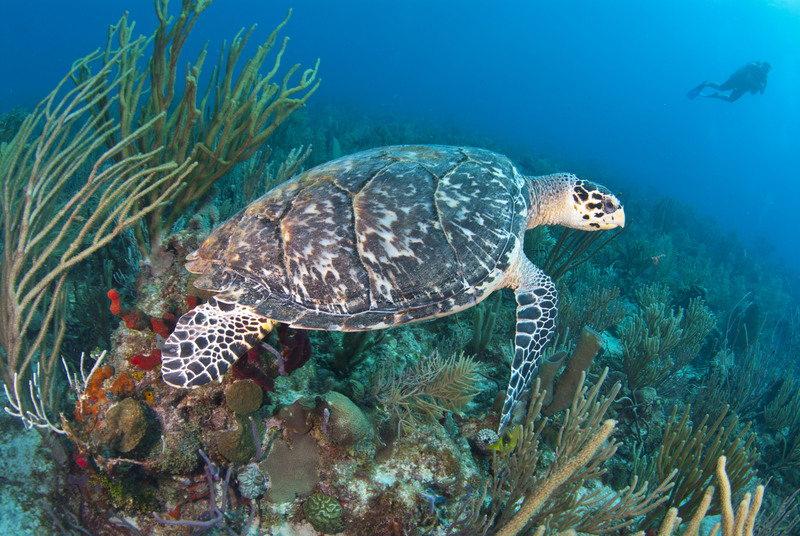 Well my impressions of the diving here are that it is OK – standard Caribbean but without any significantly interesting reef structures. The reef we dived was fairly flat – standing between 2-5m proud of the sea bed. There was a reasonable amount of life but again nothing stunning and no pelagics. 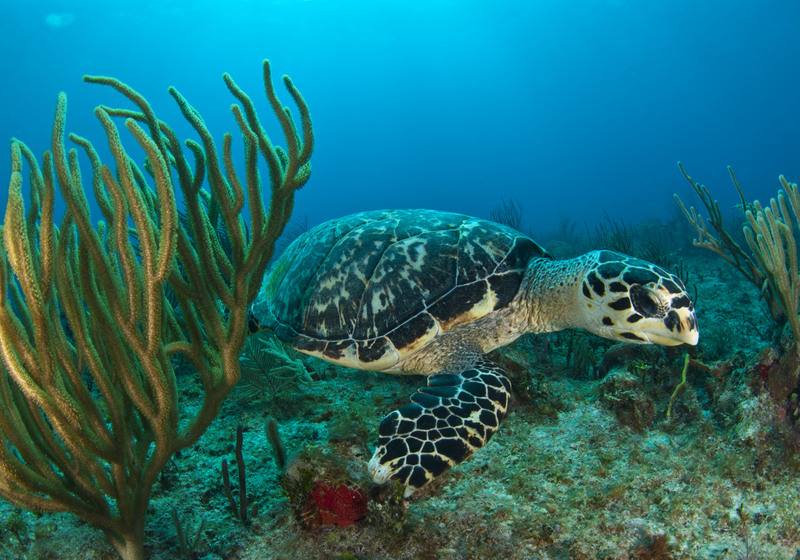 However we did see two turtles and a couple of lionfish. 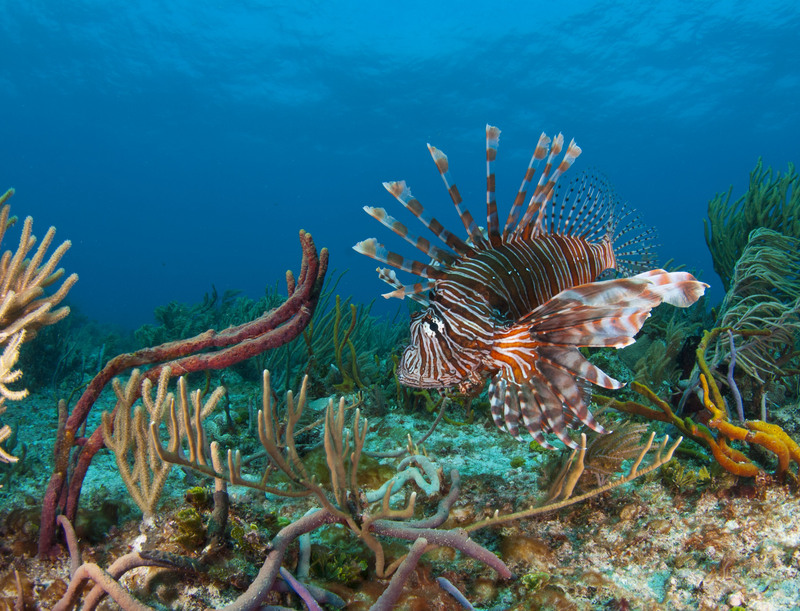 Clearly Lionfish have made it this far South – and further I understand. On Returning from the dive which was a generous 65 minutesI collected Sarah and we set off for the more interesting diving of the day. 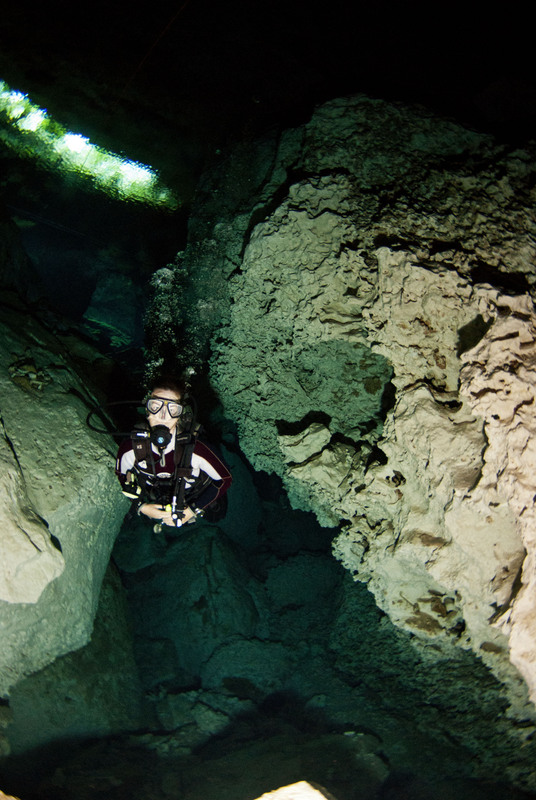 We had arranged to dive in two different cenotes with an instructor from the dive shop. The instructor, Mario, a Spaniard who has lived in Mexico for the last 20 years drove us the 10 minutes to the first cenote – Chicken-Ha. We scoped out the entry which was fairly straightforward and involved jumping in off rock (not a giant stride but jumping in and landing on your back). Once in we headed down and toured around in the cavern. 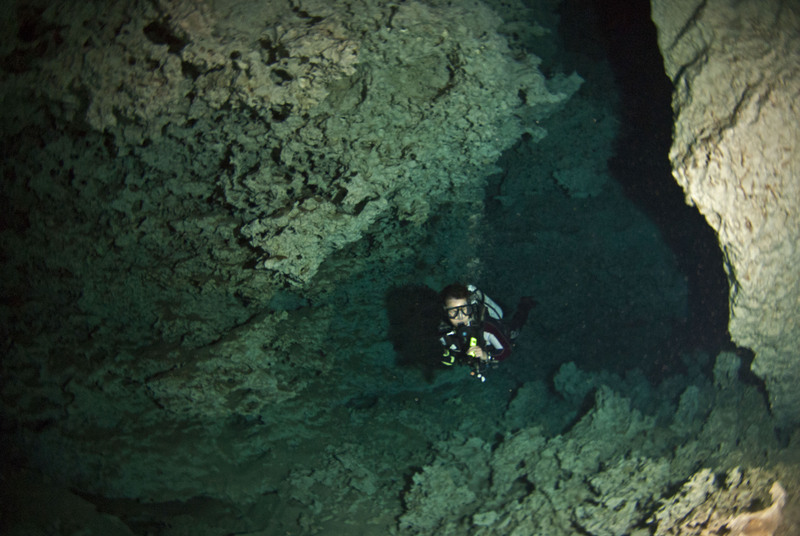 There were several dark passages leading off from the main room (but these are the preserve of cave divers). This cenote does not have lots of decoration in the form of stalactites and stalagmites but watching the light come in from the surface and the various haloclines is fascinating. After being down for 45 minutes we were pretty cold despite our 3mm wetsuits – the water temperature is definitely colder than the sea. 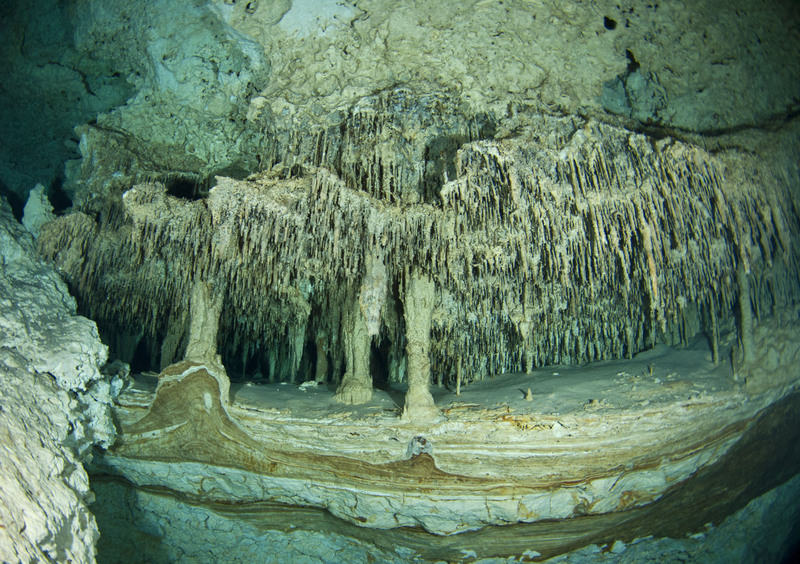 We went back to the truck and warmed up a bit in the sun before moving to the next cenote – Chaac Mul fro our next dive. This was a much more complex cenote with multiple sinkholes and rooms connected by passages. The dive we did here was much longer at 60 minutes and this cavern was much more interesting with lots of stalactites and near the end a big dark room with an air pocket in the ceiling which we popped up into for a couple of minutes. There were roots in the water here from the trees on the surface. This was a progression for our cavern diving as we were away from the light much more and in more overhead environments here. 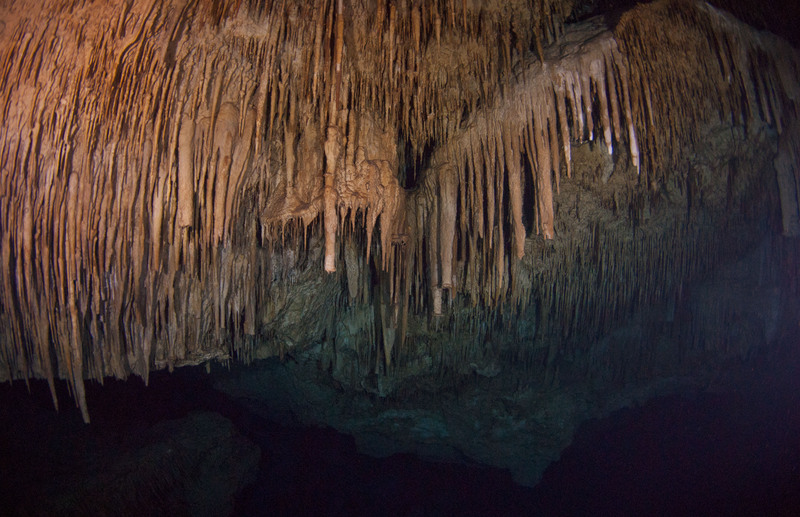 The cenote diving was really cool and different. The best thing was watching the interplay of the light coming down from the surface into the depths. The colours it produced were beautiful and really difficult to replicate in the photos. 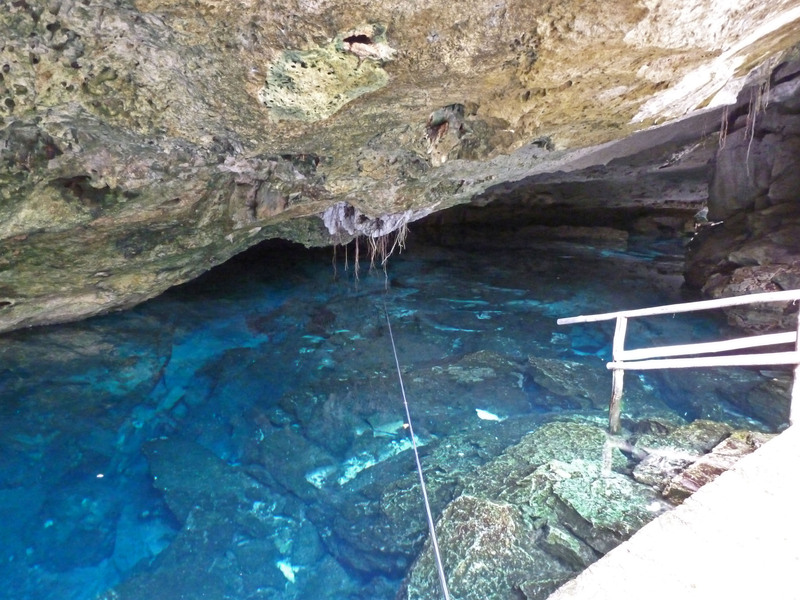 In this area there are lots of cenotes so the opportunities for both cavern and cave diving are immense. 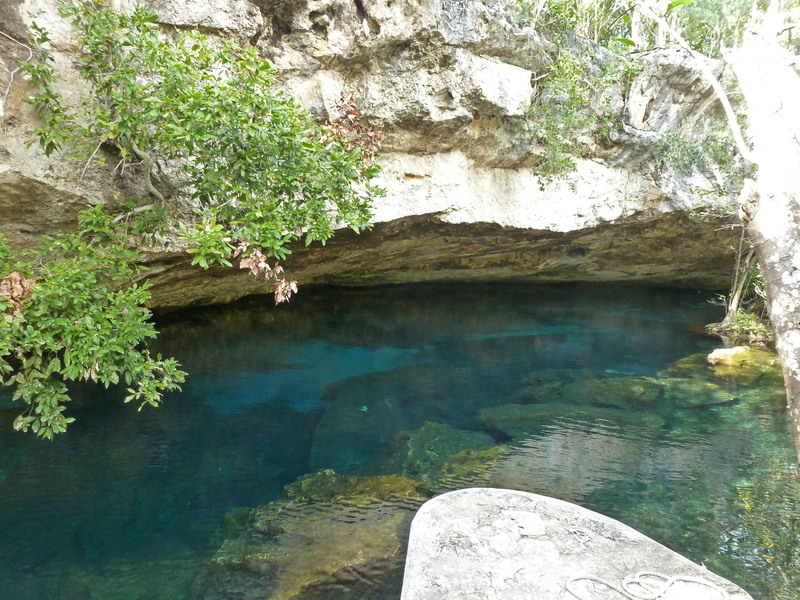 You could easily spend a week of diving here just diving in the cenotes. 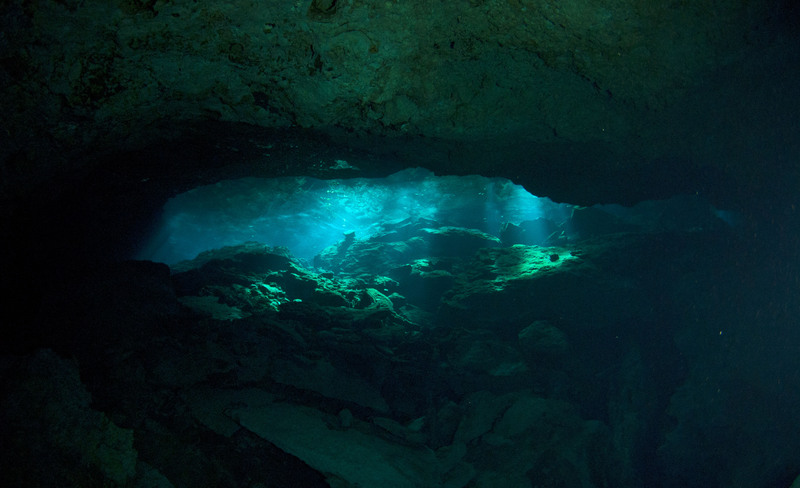 Awesome diving in the cenotes Mark, Glad to see you avoided Cancun and it’s associated white trash!